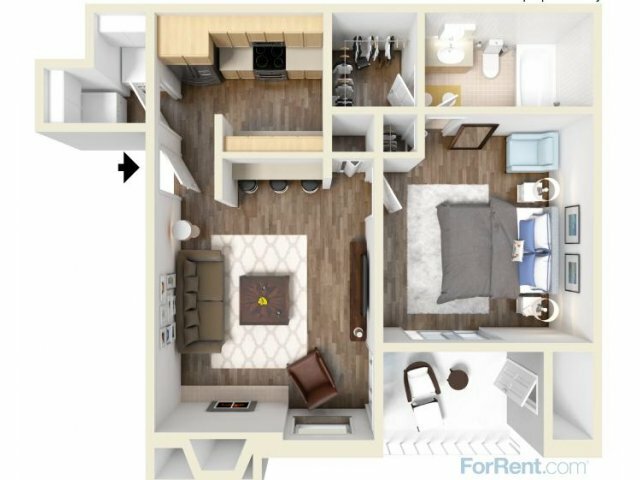 This one bedroom, one bathroom home welcomes you into a large living room that features a corner fireplace. Off of the gallery kitchen is a laundry room. 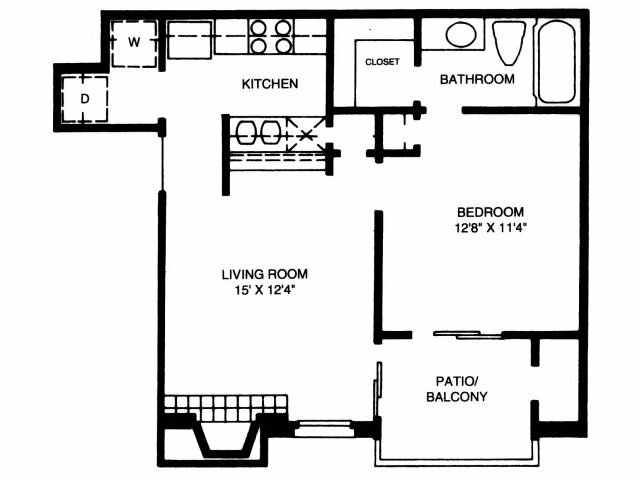 The master bedroom features direct access to the bathroom, a walk-in closet and sliding doors to the private patio/balcony.